Remember the last time we reported Amanda Bynes had officially lost her marbles? Well, we spoke to soon, because now she is officially crazy. The 27-year-old commited a random act of arson on Monday night in the driveway of a Thousand Oaks home in California. Canadian actress Tatiana Maslany talks about the very different season viewers can expect this fall. Hear some of the twists we will see. 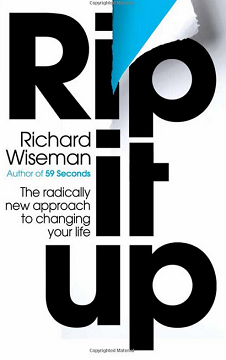 To celebrate the release of Rip it Up the new book by Richard Wiseman we have a great competition for you and we have a copy to give away! In what science does Richard Wiseman hold a Phd in? When the competition ends as indicatated on this page, any and all entries received after this point will not count and emails blacklisted due to not checking this page first. TVD's Candice Accola is in for the ride of her life. Whose Line Is It Anyway? is all new Tuesday 8/7c. Rule #1 to getting the girl: Don't be a dummy. Perfect Score is all new Tuesday at 9/8c! They are constantly circling hundreds of miles above our heads, driving our daily lives - yet we barely give satellites a second thought. Satellite engineer Maggie Aderin Pocock wants to change all that. She wants to make us realise and appreciate what these unsung heroes of the modern world have done for us. Maggie reveals how satellites have revolutionised exploration, communication, location-finding and spying. She discovers how they have transformed, not only the way we see our planet, but our understanding of the dangers within it, like volcanoes and earthquakes. 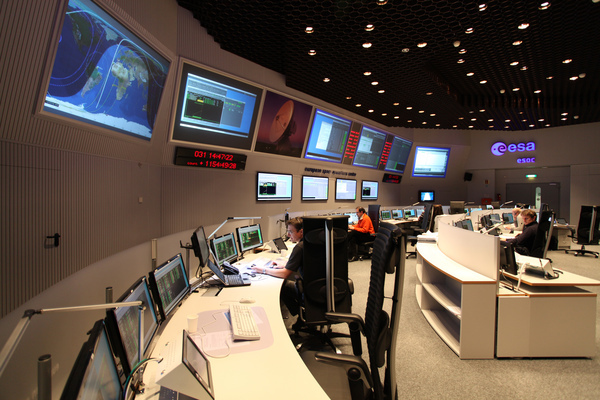 Plus, she discovers the jaw-dropping power of the technology used by satellites to make our lives run smoothly. Here's another chance for viewers to enjoy this popular and chaotic look at the maverick band of chocolatiers as they make cakes for the stars in this latest series. In this episode, Hollywood legend Whoopi Goldberg sets them an epic challenge to build a sky scraper of a cake for a glittering fundraising event in aid of New York mayoral candidate Christine Quinn. With just four days to pull it off, Christine, Christine and Dave fly to New York to meet Whoopi, and from a hired kitchen in Harlem they attempt to work their magic to create a cake that reflects the iconic skyline of the city that never sleeps – complete with the Statue of Liberty turned into Christine Quinn! Chaos in the kitchen ensues as the two Christines take charge of the baking with disastrous results, and Dave and his designs are driven to breaking point as he battles with unfamiliar American chocolate. With Whoopi Goldberg popping in to check on progress and adding a few extra requests, it’s a race to finish and deliver their spectacular ode to New York to her home on time. 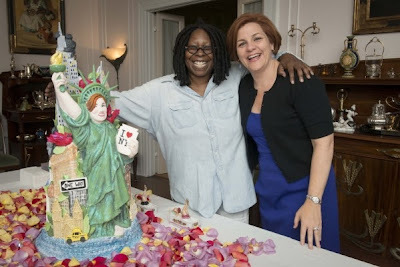 With the cake taking pride of place, they can finally find out what Whoopi and her prestigious guests make of their unique take on Manhattan. 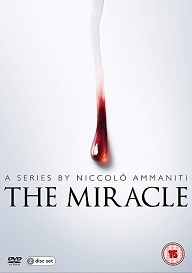 A young woman is dumped at the hospital, but later dies from her wounds. Her injuries were seemingly caused by some kind of clawed animal. Later, Castle and Beckett (Stana Katic) visit the scene where the victim was attacked and Castle (Nathan Fillion) finds giant footprints close by. Beckett is not convinced that a mythical giant beast is the culprit. She’s more interested in a one-armed Australian adventurer, the ex-boyfriend of the victim’s roommate who had also been murdered and an employee of the ape sanctuary the victim worked at. While Castle and Beckett head into the forest in search of evidence, Ryan (Seamus Dever) and Esposito (Jon Heurtas) get new leads which takes the cops to an obsessive college professor – a professor who now just so happens to work at the same ape sanctuary that the most recent victim worked at too. It's a slam dunk, and although Castle is sorry he can’t prove that Bigfoot exists, he is at least pleased he has helped put another killer behind bars. Museum Secrets explores the world’s most extraordinary museums to uncover some remarkable objects. Moscow’s State Historical Museum, London’s National Maritime Museum and the Chateau of Versailles are in a select group renowned for their incredibly rich collections, stunning architecture, and the prominent roles they have played in the history of world art, culture and achievement. Each episode of this eight part series focuses on a different museum and profiles key artefacts from their perspective collections. World-renowned historians, experts and curators tell the fascinating stories behind these objects and uncover their inspiration, spirituality, interpretation, mystery, science, discovery, protection and preservation. As the stories are revealed viewers are taken beyond the public galleries and into hidden places visitors are rarely allowed to see, with the use of cutting edge research and technology to investigate the unknown. S3E1/8. Inside The National Maritime Museum, Greenwich. 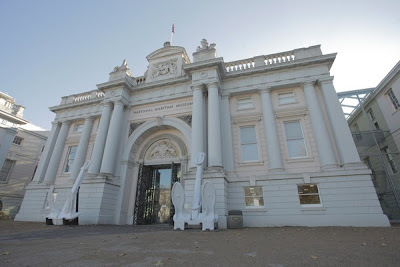 This museum celebrates Great Britain’s proud sea-faring heritage and its naval heroes; most famous of all is Admiral Horatio Nelson. He was shot and killed during the Battle of Trafalgar in 1805 and for decades many stories circulated about who the man who pulled the trigger was. One claim from a Frenchman was he shot Nelson from the rigging of a French ship. Could a sniper really have targeted Nelson in all the smoke and chaos of the battle? Jack Whitehall shows off his family home and fencing outfit while introducing his hometown stand-up gig. However, he decides he's just not tough enough for Dave. Instead he goes all 'street' at a tower block and visits his pretend parents at the local Chinese takeaway. They're baffled and think he's Russell Brand. Megatruckers is the latest series to take Dave viewers by storm. The Australian series follows Jon Kelly and his trucking firm as they transport some of the world's largest and heaviest loads across treacherous Australian terrain. Jon and his larger-than-life drivers ride the pressure of running a fleet of glistening chrome behemoths in this genuine larger than life series. 5/8. With an excavator to move 3800km from the Port of Melbourne to Darwin, Jon gives the job to young gun driver Ryan. Despite having recently been married, the 24 year-old takes the move on with gusto, but he quickly opens up about how life on the road can take its toll with loved ones. 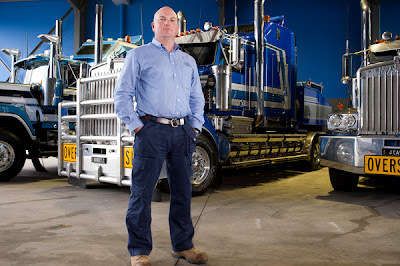 He reveals he’s hoping to meet up with his dad – also a truck driver – in the Northern Territory but when complications at a weight station leave him grounded it looks like the reunion is off. 6/8. It’s a potentially game-changing week for heavy haulage boss Jon Kelly. When he takes on a last-minute move as a favour to a rival company run by an ex-employee an easy-money move turns into a potentially disastrous operation that could do more harm to the MegaTruckers than good. And there’s a $97 million contract up for grabs that will keep Jon’s trucks, trailers and drivers busy for the next 3-years – but only if HHA can achieve an elusive ‘TIER-1’ safety rating in an audit conducted at the depot by the prospective clients. 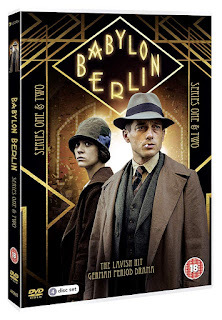 Drama brings this Alan Bleasdale drama back to TV screens starting with the first part of this incredible drama. On the 12th September 1942 the Laconia - a cruise ship turned troop ship - was torpedoed and sunk by German submarine U-156 commanded by Werner Hartenstein. She carried a motley crew of women, children, wounded soldiers and Italian Prisoners of War. Having sunk the ship, Hartenstein should have left them to their uncertain fate in the water, but instead he made the incredible decision to save as many lives as he could. A true story of unexpected gallantry and humanity in the fog of war. The Sinking Of The Laconia stars Andrew Buchan, Brian Cox, Lindsay Duncan, Ken Duken and Morven Christie. Part Two follows next Friday. The incredibly popular historical midwifery series continues its first run on Drama. S1 E4/6. Jenny delivers a little girl, Gillian, to Shirley Redmond, but soon afterwards the newborn baby is snatched from her pram. A full-scale search is launched, and the entire community becomes involved in the quest to reunite the desperate parents with their child. The culprit turns out to be Mary, the Irish girl whom Jenny had befriended previously, who has been unable to resolve the grief she felt after losing her own child. The police want to prosecute Mary but, urged by Jenny, Sisters Julienne and Evangelina intervene and ask for leniency on Mary's behalf. 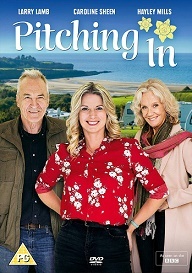 Meanwhile, Cynthia deals with the case of a middle-aged headmaster and his young musician wife who are expecting their first-born when she suffers from eclampsia. This wonderful adaptation of the Jane Austen classic concludes with another passionate double-bill. Firstly Lizzie (Jennifer Ehle) and the Gardiners are invited to dine at Pemberley with Bingley (Crispin Bonham-Carter), his sisters, Darcy (Colin Firth) and Georgiana (Emilia Fox). The chemistry continues to sizzle between Lizzie and Darcy as they exchange smouldering looks. However, the next morning Lizzie learns that Lydia (Julia Sawalha) has eloped with Wickham (Adrian Lukis) to Gretna Green. Darcy unexpectedly arrives. His stunned reaction to the news leads Lizzie to believe that Lydia's elopement has brought disgrace upon her family. Lizzie and the Gardiners immediately return to Longbourne. Then, Darcy helps Wickham and Lydia to marry. Mrs Gardiner enlightens Lizzie about Darcy's role in uniting Wickham and Lydia. She reveals that Darcy bore all the expense and insisted that Mr Gardiner take the credit. She concludes that Darcy believed it was his fault that Wickham's character was not made known to the world. When Darcy visits it is clear he is still very much in love with Lizzie and Bingley proposes to Jane, who accepts. Later, at a double wedding, Jane (Susannah Harker) and Bingley and Darcy and Lizzie tie the knot. This slick, contemporary legal drama lifts the lid on the lives, loves and hard cases facing barristers on the front line of criminal law. 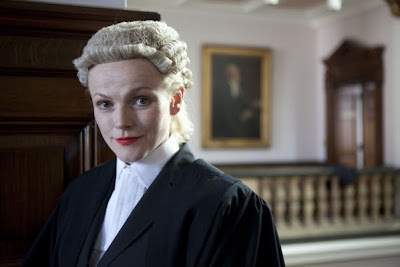 Maxine Peake stars as Martha Costello, a single, passionate thirtysomething defence barrister applying for Silk (a member of the Queen’s Counsel). Innocent until proven guilty are four words she lives by. But how does this fundamental principle stand up to examination by clients who are sometimes good, sometimes bad and sometimes evil? Elsewhere, Rupert Penry-Jones plays Clive Reader, a funny, gifted and dangerous barrister who knows how to play the game. Often found in opposition to Martha, the pair’s relationship is based on mutual respect but sparks are never far away. S1 E1/6. Having just won an important case, Martha is given two new cases for the next day, with a chance of getting a good reference for her Silk application. Under huge time pressure, she must prepare overnight, but can she satisfy both the personal and the professional demands placed on her? Or will she be forced to sacrifice one case in order to win the other? Wednesday 31st July, 10pm. 5/6. There are more crazy record attempts in this week's episode of Guinness World Records Gone Wild. Jason Gupton and Seth Leach will try to break the Guinness World Record for The Most Mousetraps Snapped on the Tongue in One Minute. The record of forty is held by Sweet Pepper Klopek of Canada, who surprises them by showing up to watch. Leach manages thirteen. Gupton snaps thirty-one. Plenty of pain, but no gain for this record seeker as Sweet Pepper holds on to his record. Then Sweet surprises everyone again by trying to beat his record. He does, setting a new Guinness World Record of forty-seven. Outside the arena, LeRoy Patterson, Jesse Lewis IV, Ash Williams, Forest Welton and Richie Lillard go for The Fastest 50 Meters Run in High Heels. They must break eight seconds. It is a photo finish between Lewis and Welton. Lewis does it in nine point six-nine seconds. Welton, eight point six-eight seconds. No record. It's fast, but it's no Guinness World Record. But Brent Steffensen does set a new Guinness World Record when he goes for The Highest Jump Into Marshmallows, which stands at twenty-seven feet, ten point six four inches. He drops twenty-eight feet, ten point-seven-five inches - get in there Brent! Watch's brand new US drama continues and in this week’s episode, Jason (Steven Pasquale) struggles to control his dangerous alternate personality, Ian, especially when it comes to their financial situation. Ian decides that Jason needs to spend more, so he blows a ridiculous amount of money on a selection of high value goods including a trip to Las Vegas and a number of expensive suits. Jason quickly learns that a silver Ferrari, which he believed Ian had purchased, actually belongs to a drug dealer who he now owes money to. He arranges to meet up and get everything sorted just in time for Ian to take over and suffer the consequences. Unfortunately for Jason, Ian sets him up in an even worse situation when he finds himself with a large bag of money outside a warehouse where the people inside want to kill him. Meanwhile, Dr. Lena Solis (Alana de la Darza) and Jason’s work colleagues are growing suspicious of his increasingly erratic behaviour, with Dr Kenneth Jordan (Michael Esper) looking for answers from Jason’s confidante, Dr. Ruben Marcado (Lin-Manuel Miranda). Thursday August 1st, 9pm. 4/4. 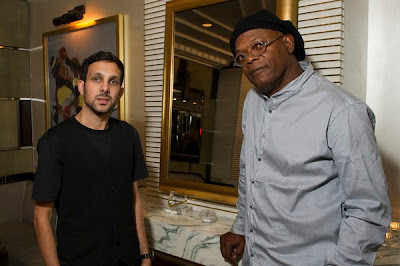 In the fourth and final episode in the latest smash hit series of Dynamo: Magician Impossible visits 95.8 Capital FM in London and leaves Dave Berry, Lisa Snowdon and the listeners speechless, as he embarks on a magical treasure hunt around the streets of the capital. Also this week, Dynamo does some impressive close-up magic with Samuel L. Jackson, plays a game of pool like no other with Keith Lemon, and impales himself with a javelin in front of Jessica Ennis. The actress shows off her perfect pins and then some for a fashion spread. Take a peek. Peter sits down and interviews the man who knocked out Anderson Silva and also takes a look at the strange things in the sports world from Rex Ryan running with the Bulls, and boxers talking about breaking their chicks hips from lovin'. Richard Burton and Elizabeth Taylor were the original fabulous stars -- conspicuous in their consumption of clothes, houses, yachts, diamonds, and, more damagingly, alcohol. Holly Willoughby loses her cool with the former Apprentice star as she rants about children's names and how they're related to class and behaviour. 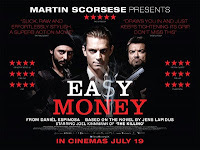 To celebrate the release of Easy Money in cinemas nationwide on 19th July 2013, we have 3 copies of the book to give away! 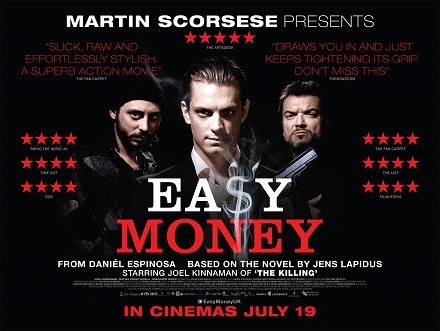 Presented by Martin Scorsese, Easy Money is a tense and gritty thriller based on the novel of the same name by Jens Lapidus. Released in cinemas nationwide on 19th July 2013. Joel Kinnaman stars as JW, a poor student who lives a double life within the wealthy Stockholm elite. He falls in love with an upper class girl and is soon lured into a world of crime. While JW starts a journey into the dark world of organized crime, he brings together the fate of all around him to a climactic struggle of life and death. Who wrote the Easy Money book?